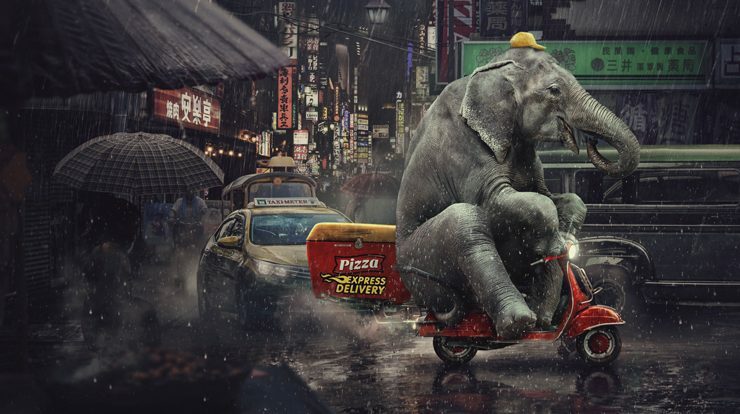 Wild animals take the jobs that humans don’t want in a twisted new print campaign by agency AvL/SE for nature conservation organisation, Pro Wildlife. The thought-provoking adverts encourage holidaymakers to be aware of the dangers of unwittingly participating in animal cruelty. 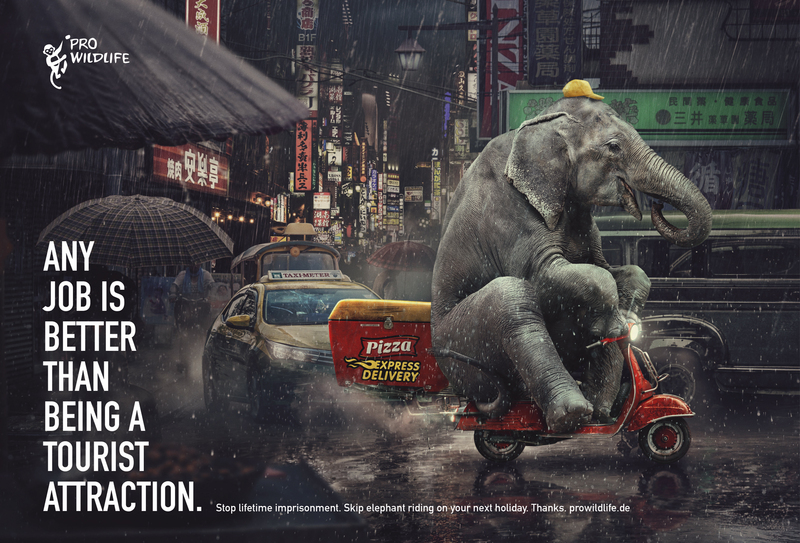 Pro Wildlife commissioned AvL/SE to develop the campaign ahead of holiday season to remind tourists that popular animal attractions, such as elephant riding and taking selfies with tigers, amount to animal cruelty. It is a particularly endemic problem in Asia, Latin America, and Africa, where animals are routinely abused in this way. AvL/SE developed the arresting campaign around the idea that ‘animals would do anything to change their job’. The print campaign launches on Friday 4th May 2018 in print, OOH, and online on the Pro Wildlife website and Facebook page. We are a part of the Saint Elmo’s Group which is itself a part of Serviceplan, Europe’s largest owner-managed agency: with currently around 3,600 employees, across 35 locations worldwide.